« Who owns the Urban Homestead? Put an owl on it! Something that fascinates me about the current enthusiasm for the handmade and local (knitting, crafting, canning, homesteading!) is how participating in these activities is a form of protest against large-scale globalization and industrialization. By making something yourself, you are opting out (perhaps only symbolically) of the general cultural obsession with consumption. This pendulum seems to swing back and forth periodically and there is much about our present era that echos the reaction against industrialization in the 19th century as exemplified by Art Nouveau and the Arts & Crafts Movement. William Morris and his circle are probably the most well-known example of this, but a renewed emphasis on folk arts and handicrafts was prevalent in most European countries as well as the United States during this period. Last week’s Retrospect column on Apartment Therapy covers the two little-known centers of Russian Art Nouveau. Did you ever wonder where the Russian nesting doll came from? Take a look to find out! it is interesting to see the recurrence of certain visual themes that connect people to craft and folk art. 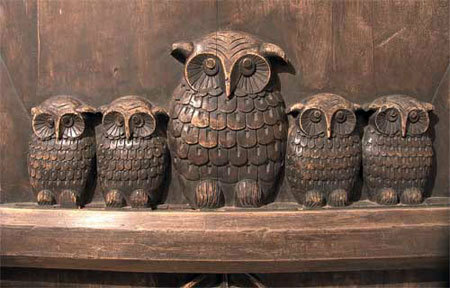 I loved seeing the carved wooden owls designed in the 1890’s in Russia and how perfectly they would fit into any hipster craft fair today. When we see owls today, we tend to think of the retro trend back to the 1970’s, not the 1890’s, but this folk-art derived motif has been around for a long time and has been having a definite resurgence in the past few years. 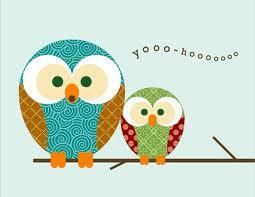 I would love to know more about owl iconography, as the theme turns up in so many culture’s artistic traditions. 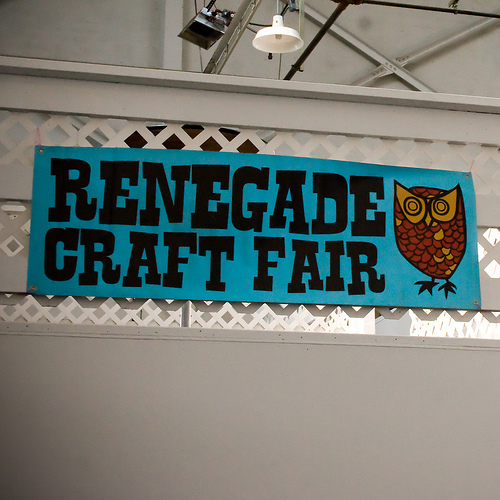 Were owls the universal symbol of hipster craftiness in the 1890’s? Were they, too, “putting a bird on it” to make it art? This entry was posted on February 23, 2011, 8:12 am and is filed under design, inspiration. You can follow any responses to this entry through RSS 2.0. You can leave a response, or trackback from your own site. My mom gave me owls for Christmas!